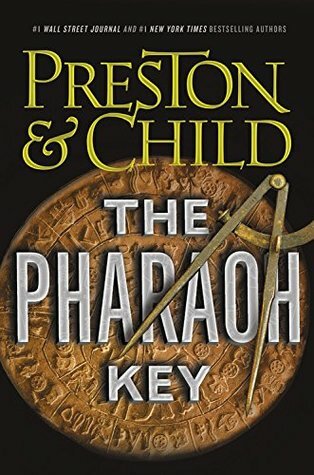 The Pharaoh Key by Douglas Preston and Lincoln Child is a highly recommended final novel and fitting ending (?) to the Gideon Crew series. Gideon Crew has a brain arteriovenous malformation or AVM, and has about two months left to live, however, he will remain strong and mobile right until the end so the doctor's advice is for him to live every minute the best way he can. He and his engineer colleague Manuel Garza have also discovered, after not being paid for months and no word of warning from their employer Eli Glinn that they no longer have a job with Effective Engineering Solutions, EES. Garza calls Crew telling him that they have a few hours to clear their belongings out of the office. While gathering what they can, they discover that a code-breaking computer at EES, after working on it for almost five years, has cracked the code found on the centuries-old stone tablet, the Phaistos Disc. With some sleight of hand, the two smuggle out a copy of the findings on a flash drive. 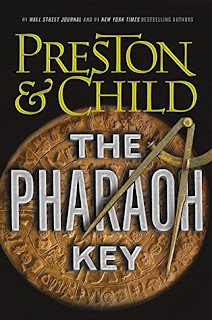 The two work on deciphering the data and agree to split the treasure they expect to find. Their destination is the remote and forbidden zone of the Hala’ib Triangle in southeastern Egypt. The treasure hunt involves one mishap and disaster after another, but still Crew and Garza keep pressing on to the remote location.